Stanton H4SHeadshell - Tracer Technologies Inc. 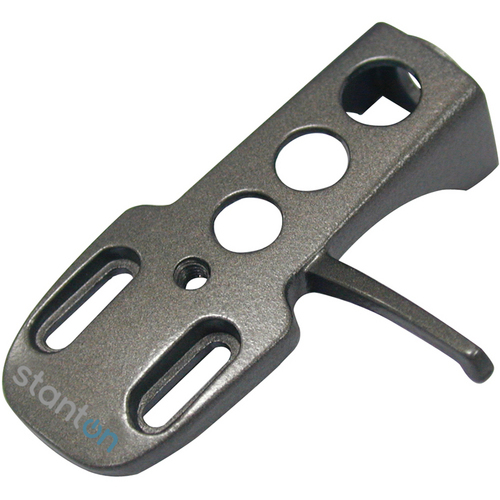 The all metal construction of Stanton's H-4 head shell helps insure precise connections when mounting your favorite cartridge for use in a "universal" S-shaped tone arm. The H4-S head shell comes with 2 screw-in weights, 2g and 4g.